I am a snacker, a big snacker; impulsive and often out of control. Usually when I get home from work (mid-afternoon) I have a little snack, which turns into a meal. I try to curb my eating but after working 8 1/2 hours and biking home I am ravenous. My tummy takes over my brain and I become a food zombie roaming the kitchen looking for food and fast! I try to eat things like popcorn, trail mix or granola. I love fruit and veggies but when I am in a snacking craze those are the furthest things from my mind. I have found a way to trick my noggin' into thinking it is getting a salty, greasy snack when indeed I will be eating a healthful snack of kale chips. Kale is full of calcium and considered an anti-inflammatory. While very similar to collard greens it is in fact related to cabbage, another one of my faves. The first time I tried kale, it was raw in a salad and I thought it was a gross chewy mess that I shall avoid for the rest of my days. Then one day for my birthday my friends Ty and Julia brought over bag after bag of kale chips. I was appalled they would bring such a tasteless food to my party, but then was completely surprised when I tried one. These things were better than potato chips! I ignored my guests and wolfed down kale chips all night. Since that day (almost 2 years ago) I have been perfecting my own kale chips. Trying different flavor combinations, the appropriate cook time and what have yous have all lead me to this my, famous "Pizza" kale chips. To Prepare pre-heat oven to 350 degrees. Wash and dry your kale then cut the leaves away from the thick rib center. Place kale chips on a well greased cookie sheet and drizzle with olive oil, then sprinkle on seasonings and bake for 10-15 minutes. Let cool then enjoy! As the World Wide Vegan Bake Sale weeks are coming to an end, my new friend Kim at the Vegan Conversion Challenge has partnered up with me to make the most spectacular Vegan Bake Sale event to ever hit the desert. She is a master in the kitchen and with her incredible knife/spatula/whisk wielding abilities she will be making some of the most mouth watering, soul pleasing cookies around. Additional bakers will be my friend Zoey of Phoenix, the raw goddess Julia of Mesa, the master baker Emily of Tempe and my newest Vegan pal Tracy from way out in the boonies somewhere (Maricopa). 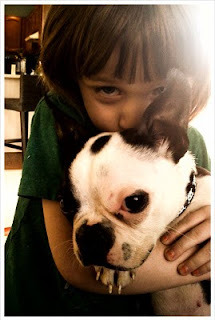 Together we will be come together to be a fearsome group of females baking to save the universe and Boston Terriers. We are one step away from super heroes, all we need are capes and some super cool knee length boots. The event is being held at Loveland Boutique in Tempe and the proceeds will be going to the Arizona Boston Terrier Rescue. The yummies will include cup-pies (mini pies), fudge, cookies, cupcakes, muffins, focaccia bread, bars and even treats for doggies. I have the next four days off and I will be in the kitchen whipping up some of my finest creations yet. As you can tell I am super excited and cannot wait for Saturday! I hope to see some of you there! 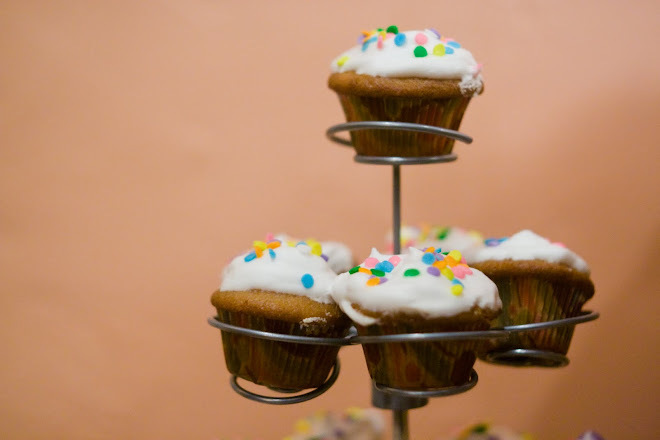 Worldwide Vegan Bake Sale at Loveland Boutique in Tempe, May 1!!!! Check out our mascot - Lil' Beans. Lil' Beans was found abandoned in the parking lot of an apartment complex emaciated and terrified. He was lucky enough to find a wonderful foster family, and even luckier when they fell in love with him and decided he would be a permanent part of their family. Not all furry babies are this lucky. We want to change that by supporting Arizona Boston Terrier Rescue so that more of these beautiful babies can be as lucky as Lil' Beans. This picture below was taken shortly after he was saved. Hey Bakers and Lovers of baked goods!!! When? Saturday, May 1, from 11am - 4pm or when we run out of the goodies. All proceeds to benefit Arizona Boston Terrier Rescue. 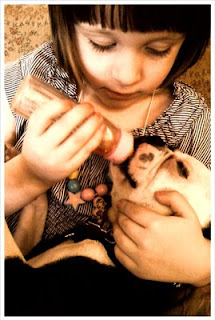 Help us save these adorable, sweet, babies from abuse, neglect, and worse. There will be an incredible selection of vegan baked goods: cookies, cupcakes, bars, pies, cakes and other treats. Bring your veg and non-veg friends alike! They will thank you for turning them on to such awesome sweet sensations. Check out Lil' Beans Now! He is happy, healthy and oh so loved. I am sure you all know the joys of a job well done, the feeling of a pat on the back, the warmth of a congratulatory hand shake and the sweet sound of praise. Last night as I prepared for the Coffee, Cookies and Crafts Fair I was overcome with the anxious self doubts. The little girl inside of me that worries endlessly about the little things. That little girl kept me awake all night with all kinds of what ifs. What if my gluten free cupcakes don't taste well to others, I like them, but hey, not everyone is me. What if I run out of samples before the day is done (which I did, but it was okay) or what if I become a rambling idiot when someone asks me a question. "Hey lady, I just wanted to know the flavors, not every ingredient and the prep work involved." All those silly little things that can drive a little ol' lady cupcake insane. Thankfully, everything turned out perfect. I arrived on time (a miracle really since the freeway was closed) my set-up looked great, the people were friendly and gave out compliments like free kittens, and the Vegan Bake Sale attracted everyone there. A great day, and a job well done. Here are some photos of the fun things I saw and the yummy things I shoved into my face. Check out that flavor combo! Sign made by chef's 5 year old daughter, super cute! There were some very talented vendors there as well. 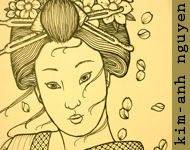 It is always great to see people getting recognition for their hand made goods. I love to purchase hand made items as I love one of a kind, unique items to adorn my house or person and also to give as gifts to my loved one. "stuffies" by Jennifer Syfu she even sells little plush teeth! And as mentioned in yesterday's blog there was a World Wide Vegan Bake Sale event at Bragg's as well. There were quite a few nummies for one to choose from. Cookies, brownies, cupcakes galore, and all kinds of delicious confections. I bought a little of everything and I am going to enjoy them all when I finish this little blog entry...ooooo I cannot wait! I would also like to mention I met a fellow blogger Chelsea from Tea Talk. Both she and her boyfriend Scott are very friendly and as cute as can be. I also was surprised when my sweet Shana came to check out my sweets. he is a lovely, amazing girl who I could give endless hugs to! 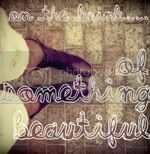 She also has a blog and she is gorgeous, so check her out shiner. Happy Earth Day to everyone! Change is in the air, can you feel it? Today there has been a change in the Arizona air, literally. I went outside and had the shivers! We are having Chicago weather, one day hot the next day freakin' cold. Courtney knows what I am talking about, right? Besides the temperature change there is something else, I know it sounds corny or whatever, but I think this trend of everyone going "green" could really make a difference in our lives. I know, over the top optimistic, but I am seeing big brand companies rethinking the way they do business from their production lines (using alternative fuels) all the way down to the very materials they are using or in many cases re-using. So many restaurants are jumping on the organic and local bandwagon, it is making me silly happy. I even hear Chipotle is offering a faux Vegan chicken to put in their colossal burritos (factory farming is horrible on the environment). I hope this is one fad that sticks around, I do not ever plan on having children myself, but that does not mean I am not concerned with providing a happy healthy environment for the future offspring of the human species. I try to do my part, I ride a bike, I am a localvore or whatever "in" word there is for buying local foods, we are trying to have a fruitful organic garden in our home, I have switched all the light bulbs, my carbon footprint is pretty minuscule. So to celebrate my achievements of treading lightly on this beautiful Earth I have awarded myself with cookies, so many in fact I need to go work out...like now! Simple. When I am baking, reading a good book, riding my bike and cuddling with Tim. I am Vegan, so I eat pretty well. I go to the gym 3x a week, ride my bike everyday and chase my chihuahua around the house. Are you internally (by yourself) or externally (by others) motivated? I am a wee bit of both. I really push myself hard, but sometimes I try harder when I tell others my plans. I tell people as a way for me not to fail. oh geez. Fun huh? I go to shows, take photos, draw, jump on my trampoline, bake cupcakes, go to Loveland, kiss on Tim. Large groups of people spending money. Christmas just about freaks me out to the point of staying indoors all December. Biking places I have never been is scary. I am filled with questions about road conditions, traffic, locations of bike shops, places to get water all kinds of stuff. What is something that you're proud of? Kellie's answer was great for this, even I am proud of her! I ma proud of being Vegan, really. I love knowing that by simply eating I am helping out some furry creature. When I put on eyeliner I do not feel guilt, when I share baked goods I feel as if I am passing on that good karma on to those who eat it. It may sound silly but I am really happy with my choices. Portland, OR. Hands down. Bikes, Vegan food, hippies, nerds, tattooed weirdos, guys with beards, girls with pink hair. This is my Mecca. 7 1/2 I got off work at noon, came home, cuddled with my cat Simon, read a book, watched ridiculous tv, took a nap and baked cookies. All pretty good I would say. Finish this sentence: If you knew me really well you'd know ________. I love bunnies. I have a tattoo of one! I want to own a bunny so bad it hurts. But alas I have too many pets (2 cats, 2 dogs) o the bun buns will have to wait. 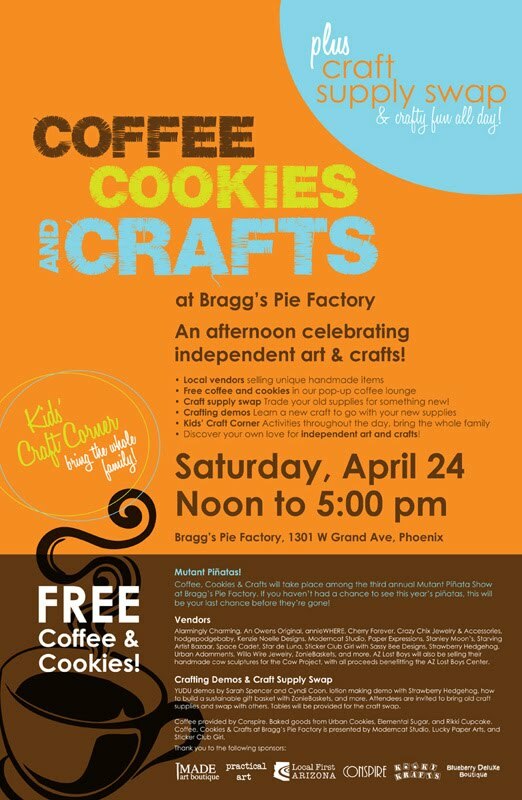 On April 24th I will be giving out yummy samples of my cupcakes and other treats at the Coffee, Cookies and Crafts event in Phoenix at Bragg's Pie House. There will be an awesome set up of coffee and sugary goodness to fuel the fun to be had at the crafting sections. There will be a craft swap (so bring in materials you may not need, want or be using to trade with others) a kids section and the Lost Boys of Phoenix will be there selling their clay cows to benefit the Lost Boy Foundation. Also the Mutant Pinata show will still be on display and if you haven't seen it yet, you need to! I have had this goal to write one post a week. To come up with one new recipe to share or to bake at least one new thing I have never tried to bake before. As much as I strive to keep up with my goals, a little thing like life gets in the way. So as I have done before I will re-cap my week with some photos and a few blurbs on what I actually did. One week ago today I got some new and amazing tattoos by Uncle Josh at Lady Luck Tattoo in Tempe. Josh is an amazingly talented artist who not only does tattoos but paints as well. The pieces I commissioned him for were of a cupcake (of course) and a 1950's dough mixer. His vision perfectly matched mine and my legs and his art were a match made in heaven. I also joined a gym to keep my calves in shape so as not to distort my new artwork. (: Timmy and I are now working out three nights a week. I have already lost 30 pounds! Ha ha just kidding. Timmy and I have been spending more quality time together and less time zoning out on zombie films, which by the way Zombieland is the best movie ever. We took the little doggies to the park the other day and had a super fun time. Ellie even met a chihuahua friend! 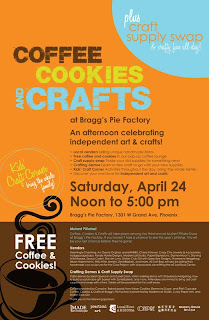 This past weekend I baked an insane amount of goodies for the ASU Art Museum Street Walk and met some people in the downtown Phoenix area who I will be helping with an event this weekend at Bragg's Pie Factory. I made Chocolate Peanut butter cupcakes with Newman's own peanut butter cookies in the center, Coconut Cupcake with a fudgy filling, snickerdoodles, white chocolate chip and pistachio cookies, gluten-free rice snacks smothered in dark chocolate and strawberry shortcakes. And I only took one silly photo, what was I thinking? I was at the event thanks to the lovely girls at Loveland Boutique in Tempe. They are both super smart sassy girls with a unique boutique for women and children. I also attended a birthday party for a co-worker and a farewell party for another co-worker. Tim (not to be mistaken with my Timmy) is one of the silliest people I have ever met and I can say I am quite saddened by his departure and although I will miss him, I will still never create a Facebook page for him to email me on. Sorry Tim.